We are proud to announce the new and improved Wyoming County Chamber of Commerce Member-to-Member Discount program. This FREE program helps our members build business-to-business relationships with other companies by offering special pricing to Chamber members and their employees. 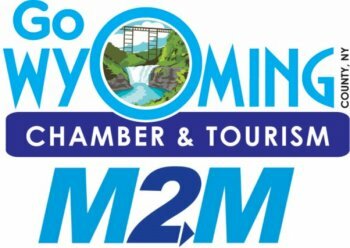 By presenting the M2M Discount card, you and your employees can receive discounts from other Chamber member businesses and organizations. M2M Discounts are offered both on the Chamber’s website and Facebook page. You agree to offer a discount or special pricing that will be available to other Chamber member business and employees. We provide each member business with a M2M card that will be shown in order to get the discount or special pricing. We will add your information and offer to our M2M section on the website and on our Facebook page. We will also distribute a brochure listing all of the M2M discounts to each member. Discounts not available with any other offers.